Two football crazy fans put their Euro 2016 travel plans on hold after their mum put their tickets in a case for safekeeping – then accidentally returned it to a shop. Lifelong Wales fans Leon and Gary Ravenscroft, originally from Newport, but now living in Sydney, Australia, were eagerly waiting for their mum Gillian to arrive down-under with their two sets of tickets she had bought for them as a present. And with Wales having dramatically qualified for their first major tournament since 1958, the brothers were set to embark on a trip of a lifetime to France to watch the team they have supported and cherished for decades. 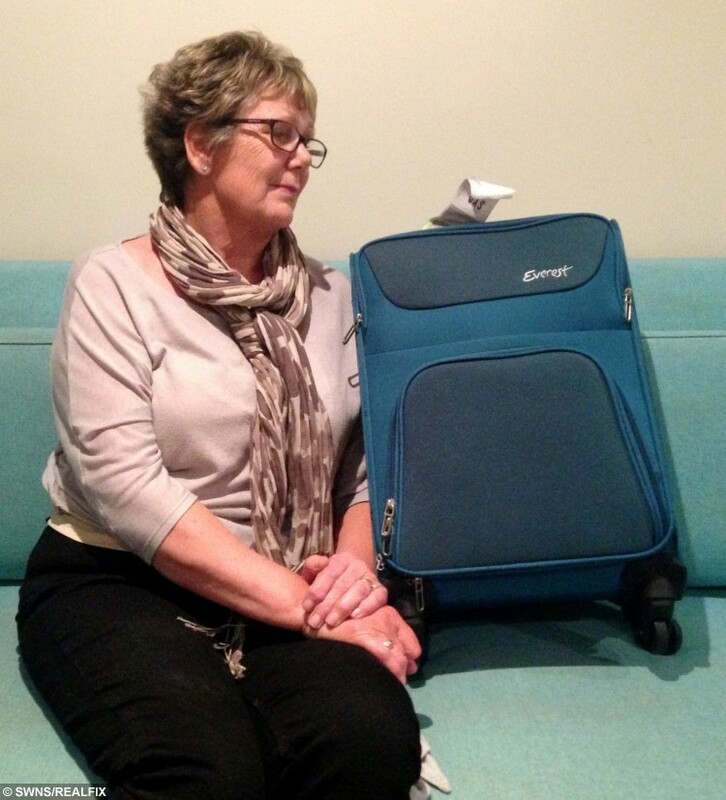 In preparation for the 14-hour trip to Australia, the 67-year-old treated herself to a purple Pierre Cardin cabin bag bought from TK Maxx and put the tickets, costing £55 each, inside for safekeeping. She then rashly decided the case was too small and returned it to the retail store in Cwmbran last week totalling forgetting the tickets to see Wales play Slovakia and Russia and Slovakia were inside. Gillian Ravenscroft with the replacement bag after returning a bag she didn’t like without realising it had two tickets to a Euro 2016 game. Ms Ravenscroft said she felt like she had “scored an own goal” after realising her mistake. “I realised my error when I couldn’t find the tickets and looked in my other bag, but then it dawned on me that they were in the case I had returned earlier that day,” she said. And to rub salt in the wound TK Maxx told her they had resold the case. She said: “It’s so upsetting because my boys are such huge football fans who attended most of the qualifying matches and now because of me they’re missing the most important games. Having invested more than 30 years of support for Wales, the brothers say their months of planning has gone to waste. 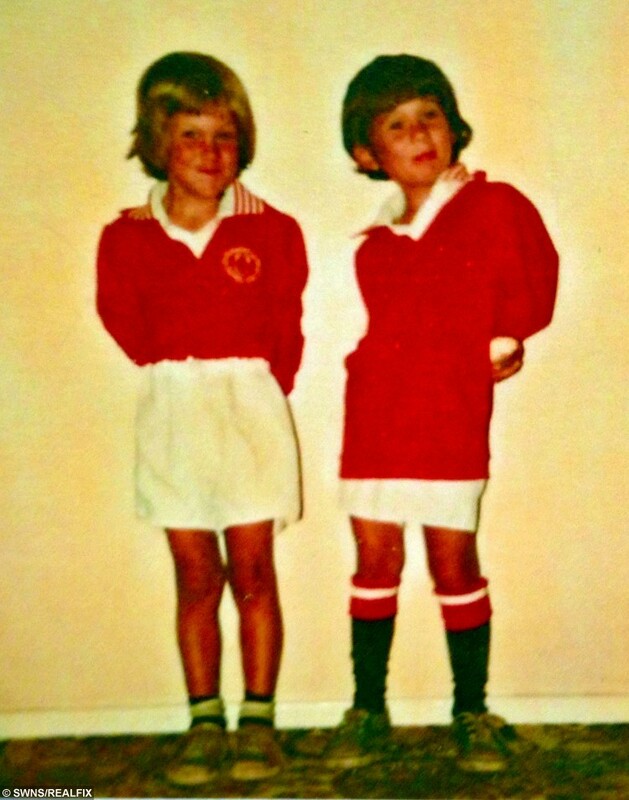 Gillian Ravenscroft’s sons Leon and Gary pictured as children when they were mad keen on football. Both brothers are due to fly to France for the games in June, but are still hoping someone may come forward with information about the missing tickets. The family is now appealing to whoever bought the bag to hand over the tickets after the brothers’ attempts to get the tickets re-issued via the Union of European Football (UEFA) failed. Wales play Slovakia on June 11 and Russia on June 20.